The most popular and largest carmaker of India is all set to launch its all new MPV in India. Earlier recognized as Maruti R3, it has finally been given an official name and the car is better known as Maruti Ertiga as also seen on the spied images of the car. 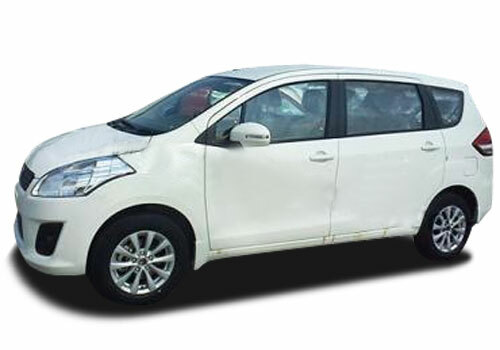 The recently unveiled spy pictures of this model have the Ertiga badge. Maruti Ertiga is a typical Maruti car designed on similar platform as its other cars. It has beige interiors, higher roof and expanded wheelbase but in a bid to give additional inside space, the makers have extended its hatch above than a small car limit. The Maruti Ertiga Review suggests that Ertigo has a total length of 4265m much more than that of the Ritz hatchback. The buyers will have to pay more bugs for this in form of excise duties but yet this feature has made Maruti Ertiga one of the best family car in its segment. Nevertheless, those conscious of looks and novelty before buying their vehicle must be informed that Maruti Ertigo has a resemblance with Maruti Ritz in the front and with Maruti Swift in its design and styling aspect. We are not getting critical and still consider it as a good car since it has much more to it than this. Its modern diesel variant has a 3-litre Variable Geometry Turbo (VGT)-equipped 89bhp engine which is great. More surprising is its K14 petrol engine which makes its debut through Ertiga. This is the largest version of the K-series with higher power and torque figures. Its 1372cc VVT motor makes a decent 95bhp and delivers 13 kg torque. However, people might miss electronic climate control in the Ertiga in even its top-end variants. This Multi Utility Vehicle (MUV) “Ertiga” was much awaited after people got a glimpse of its concept at the last year’s Delhi Auto Expo. The Maruti Ertiga was a showstopper and it is expected to be a lead player in the market too after its launch speculated at the Auto-Expo of January next year. Maruti Ertiga Price in India is expected to be between Rs. 7 to Rs.10 lakhs. The car shall compete with Mahindra Scorpio and Toyota Innova also placed in the same price segment.